Watch this 3-minute highlight of Washington DC for Kids. 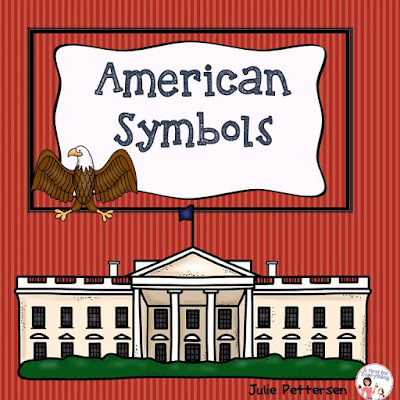 Take a trip through our nation's capital with your students and lead a discussion with them pointing out American symbols that they see in the video. 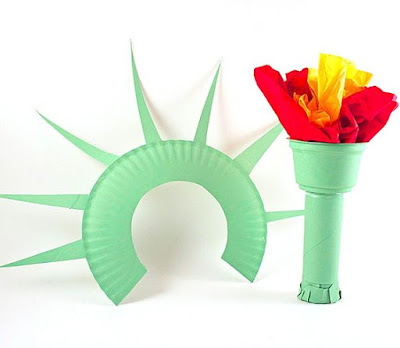 Make the Statue of Liberty crown and torch with just a few materials such as paper plates, cardboard tube, and a cereal box. Click here for directions and a complete list of materials. 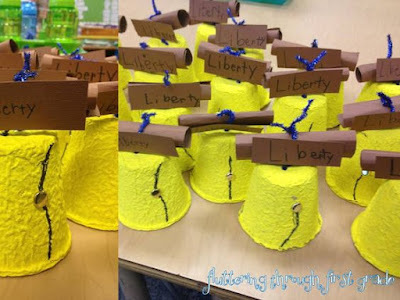 Aren't these liberty bells from Fluttering Through First Grade darling? Click here for directions on how to make them. 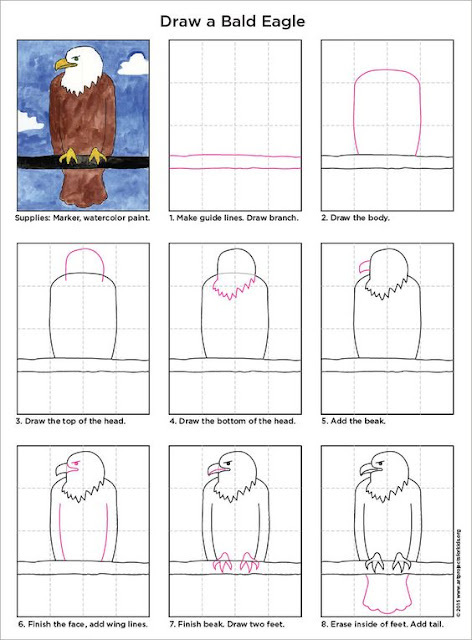 These bald eagle directed drawings would look great displayed alongside some facts about our national bird. Click here for more info. 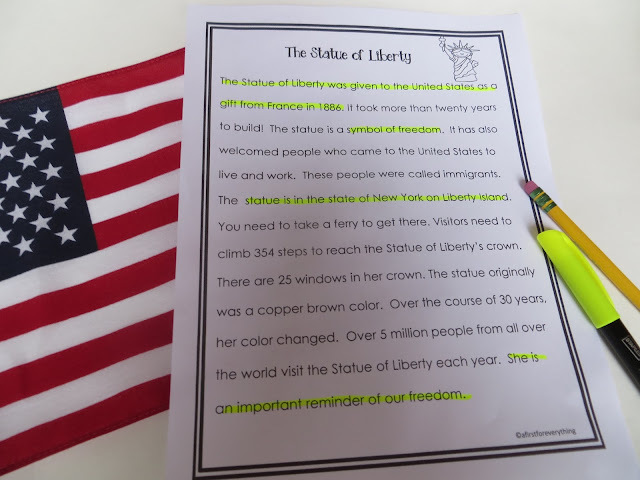 Why is the Statue of Liberty green? 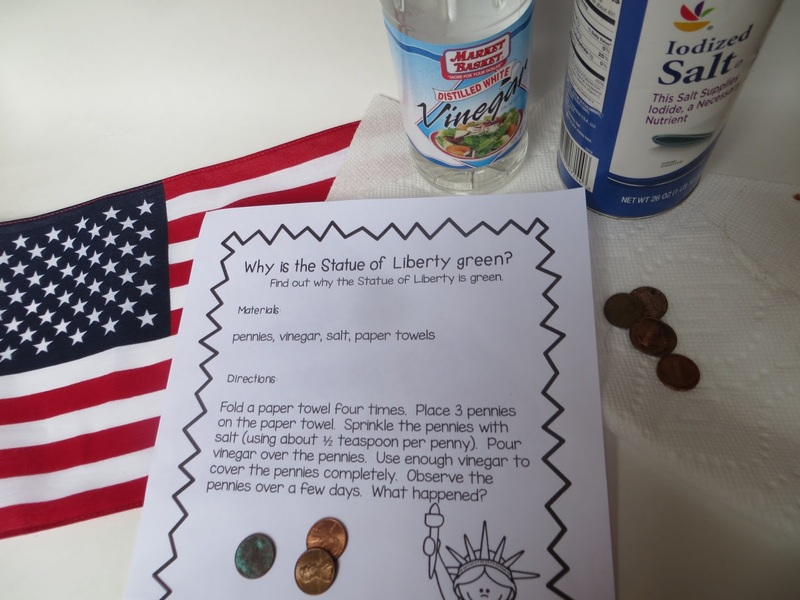 My class LOVES this experiment on oxidation. 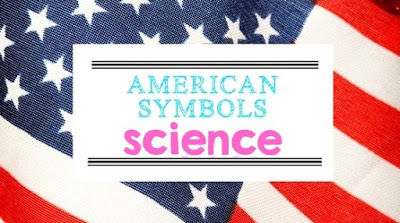 Using pennies (dated 1973 or later when pennies were made of copper), we used paintbrushes to coat them with vinegar, salt, and water. 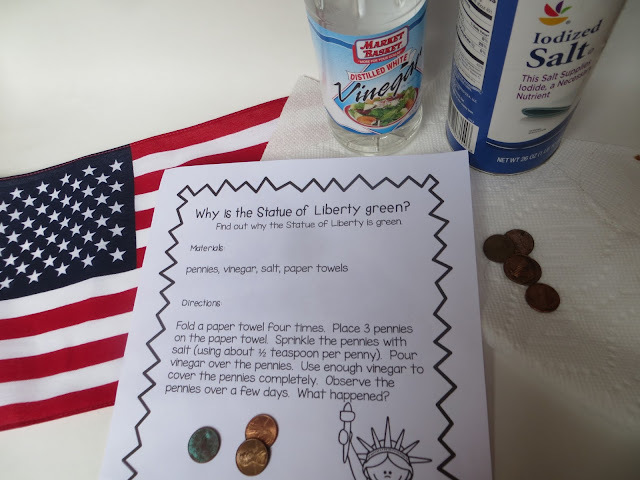 WE talked about where Lady Liberty is located and how our little experiment might re-create her environment. 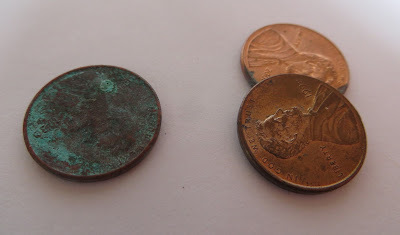 The next day, the kids are thrilled to notice that the pennies have turned green-just like the Statue of Liberty. Kids are always fascinating by The White House. 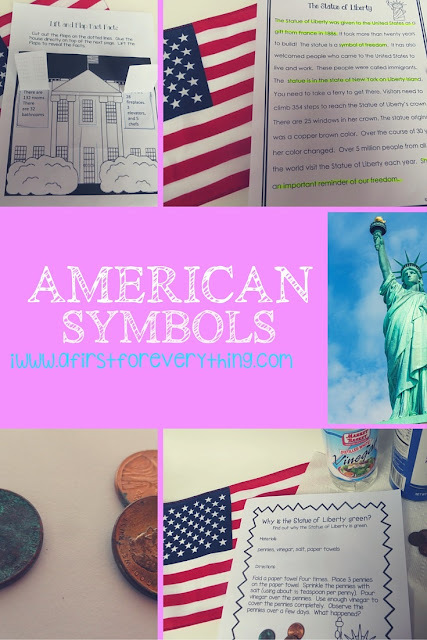 I share this mini anchor chart from my American Symbols unit. 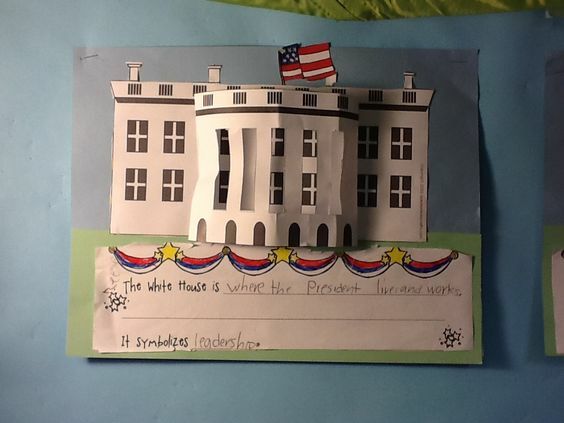 Then they enjoy doing this "lift and flap" to reveal facts about The White House. I love this White House writing craftivity below. This adorableness is a freebie from Adventures in Mrs. Martin's Room so make sure to grab it here. We also spend time doing close reads on each American symbol. Do you have any great ideas or activities that you use for American Symbols? I'd love to hear about them in the comments. Wow! So many great ideas!! The crafts are adorable and I am definitely doing that science experiment Monday. 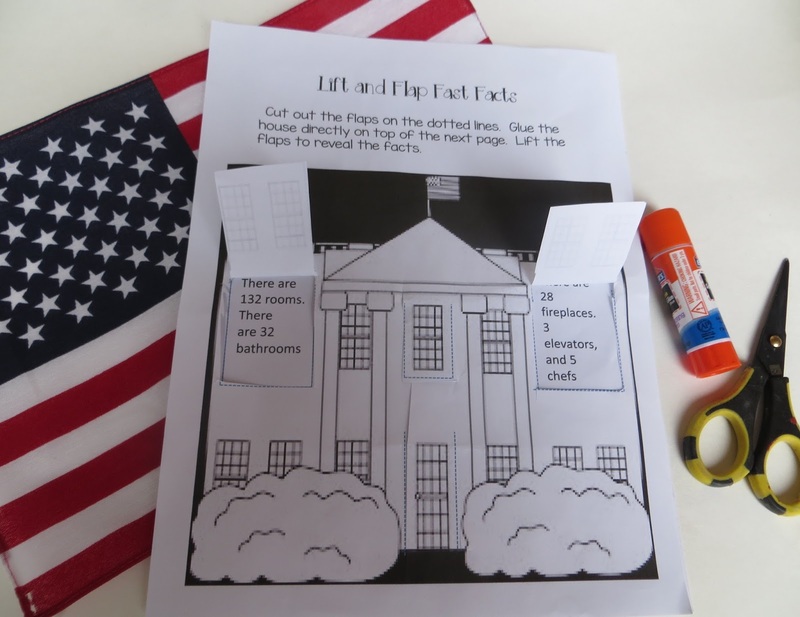 Oh, and how fun is that lift a flap White House?! Thanks so much for sharing your awesome ideas and linking up!